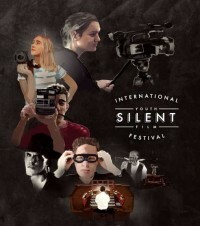 The 2018 global celebration/competition of newly-created short silent films returns to Melbourne. Come see the shortlisted films entered in this year’s Victoria Regional competition, all of which have been created by filmmakers under the age of twenty years old. The greatest gift any filmmaker can have is an audience for their film, so as they compete for worldwide recognition and cash prizes, we invite you to experience their newly-conceived films for this festival competition! Free entry for children and teenagers with a valid student ID. Free Tickets redeemable at the box office.